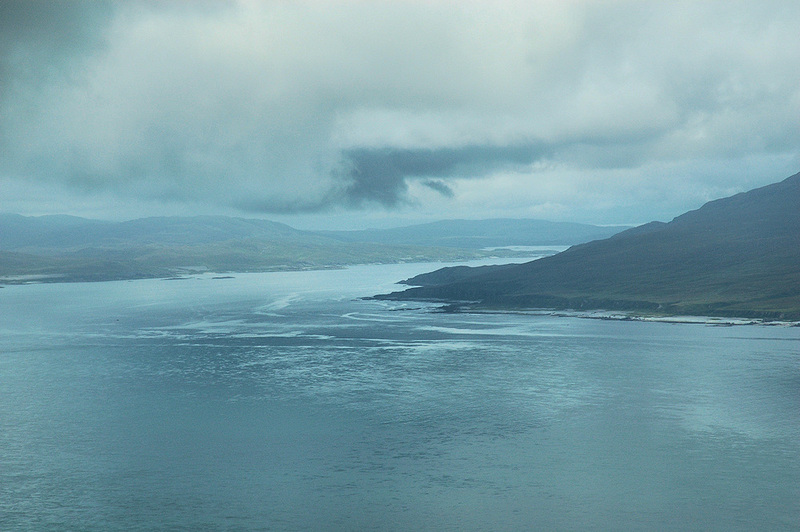 A view from Sgarbh Breac (262m) on Islay over to Jura on a cloudy day. Towards the left the entrance to Loch Tarbert, which almost cuts Jura in half. Towards the right the feet of some of the lower hills north of the Paps of Jura. This entry was posted in Cloudy Weather, Landscape, Repost, Sea Loch and tagged Islay, Jura, Loch Tarbert, Sgarbh Breac by Armin Grewe. Bookmark the permalink.